House of Lloyd. 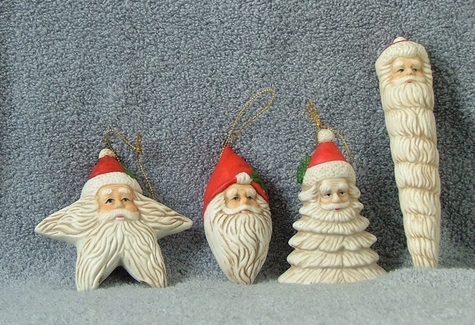 This set of 4 Santa ornaments which are in very good condition and come with their original box which has some shop wear. The ornaments are made of ceramic and range in size. The longest is approx., 5.5" X 1"., at top- star is 3.5" X 3.5" - other 2 are approx., 3" X 2" Price includes shipping and a tracking number.